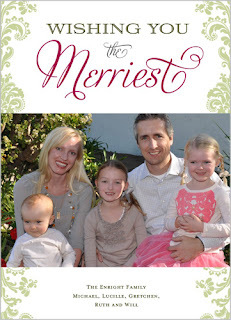 Weiner Tales: It's A Shutterfly Christmas! I did a post a few weeks ago as I was just starting to contemplate Christmas cards. Did I do anything about it? NOPE! Not a thing... But that's OK. 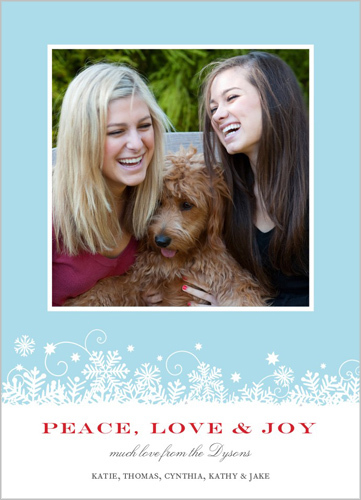 Fate and Shutterfly intervened and now it's time to get serious about picking my Christmas cards. Can I even tell you how excited I am that I'm going to get 50 free Shutterfly cards just for being a blogger?!?! Who loves great quality, FREE* stuff? THIS GIRL!! I know, the doggie comes as a HUGE surprise! It's so elegant and scroll-y! 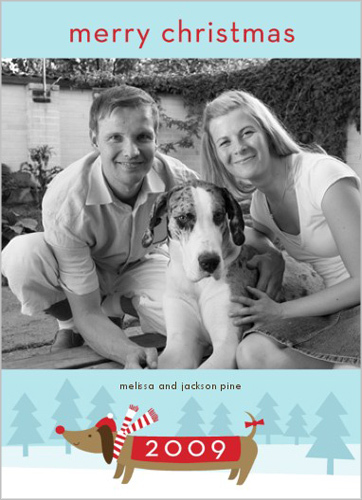 Not too fond of shoveling snow, but I'm all about a good snowy holiday card! Shutterfly also does the more PC holiday cards, Thanksgiving cards, Hanukkah and New Years too. All of which are fabulous. And guess what? You could get free cards from Shutterfly too! Click here to enter. Start clicking, kids! ;-) Oh, and if you have a favorite that I should see - let me know!! With any luck, I'll make a decision on what cards I'll be sending before Thanksgiving. How very cool! I've done lots of things on Shutterfly, but never heard about this deal! How very cool! Thanks! Interesting! I might have to check into that. I love the doxie on that card and I have to say, I was really surprised to see it!!! !